X10 is the name of a protocol used by various consumer grade home automation devices which communicate using the existing electrical wiring in your home. In a practical sense, they replace power switches and cost only modestly more than the manual equivalents. Several companies produce X10 compatible devices and they can be easily purchased both online and in electronics stores. 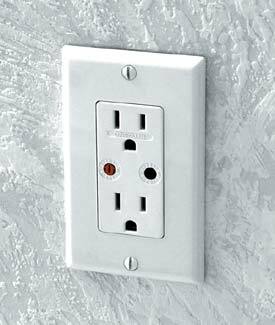 Lamps and other appliances can then be turned on or off or dimmed either via a computer or any number of manual control mechanisms. All X10 devices either transmit or receive commands. Some do both, and there are also tranceiver modules which will accept a wireless signal and retransmit the command over the wiring. 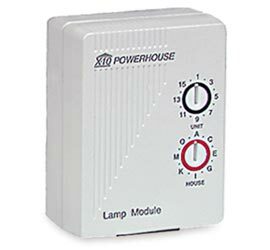 Receiver modules basically consist of lamp modules and appliance modules. These can take several forms. The core difference between the two is that lamp modules are designed to work with incadecent lightbulbs and have a dimming capability. 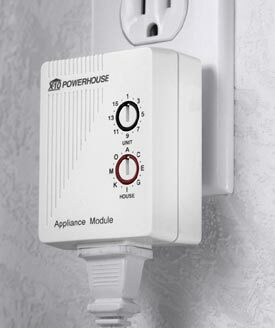 Appliance modules are meant to be just manual power switches which can control any type of appliance that would plug into a normal wall outlet. The appliance and lamp modules receive commands from transmitters. 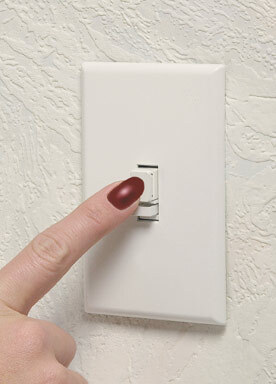 A transmitter can be a lightswitch style switch on the network, a plugin button display, or a wireless tranceiver which can receive commands from a computer, a motion sensor, or a wireless remote control. Each transmitter has one of 16 housecodes and each lamp or appliance module has one of 16 unit codes, for a total of 256 possible controllable devices. A command sent over the network contains the house and unit codes and the command, typically ON or OFF. All the modules on the network listen and when a command's identifier matches the house/unit code of the listening module, it will then carry out the command. For a small operation, all units will typically have the same housecode. It's just a matter of setting a different unit code for each module. Then a transmitter such as the remote control can be used to turn on or off various modules. It's simple to do and pretty much anyone can set it up.